Tinker Planet: We Did It!!! DH and I finally completed our beginner's course in Stained Glass. After 4 sessions of 3 hours each, and 75 minutes of driving one way, we finished our suncatchers. I am really glad to have a hands-on learning of the craft. When we bought a stained glass studio from Ms. Mary James a few months ago, a lot of books and videos about stained glass come with it. However to me, it just won't be enough to learn it. I need somebody to actually teach me, and to answer any question I have during the process. To me, the critical parts are cutting glass, grinding and soldering. DH said this hobby involves a lot of work, which means he doesn't enjoy it! Hehe. But I'm still glad that we studied together. I'm excited to do my first project on my own. But I still want to take the advance course, so I'll have more confidence in the future. 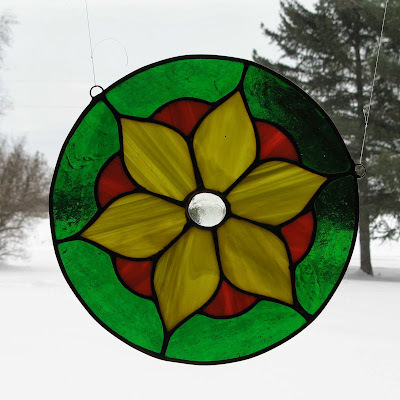 I just love to look at what I did, hanging right there at my craft window. It's like, "I made that one!" Yeah, I'm proud of myself. 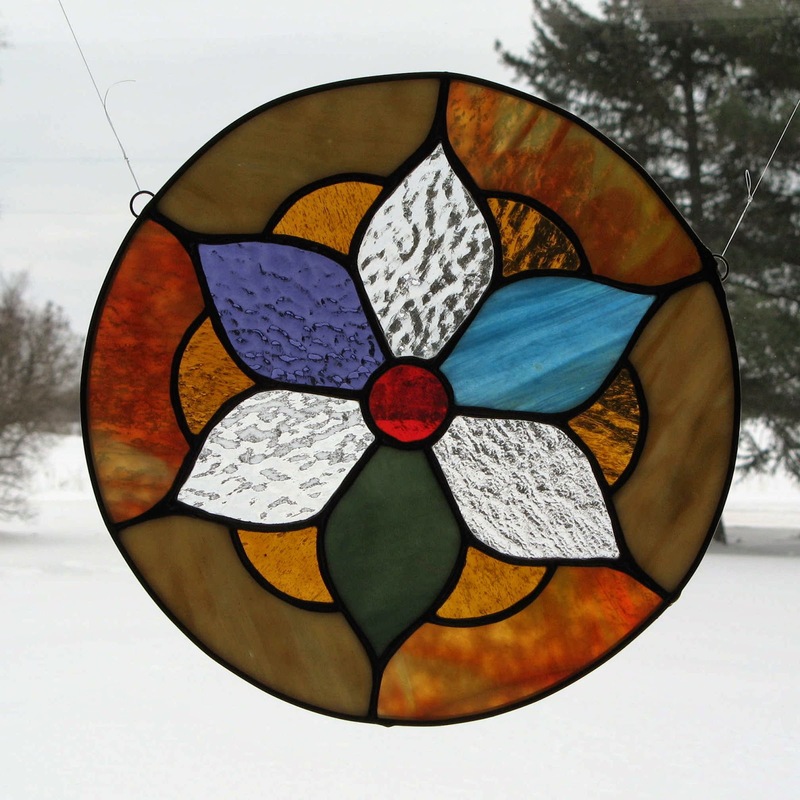 Our instructor, Ms. Shirley Triplett of Stained Glass Cabinet Co, said that when you start making your own projects, and you look back at that very first one you made, you'll actually think it's your worst ever. I don't see it as ugly, yet, since it's my "one and only." I already have a place to put the two suncatchers we made. But right now, it would be temporarily in my planet, until spring comes. And that's also the time I can start setting up my stained glass studio. I can't wait! Labels: stained glass, stained glass cabinet co.